It has not been long time since the doping scandal which involved the IAAF ex President, Lamine Diack, broke out; after some months the consequences of the event started to emerge and the anti doping institutions cooperating with the World Federation changed their mind. The Swiss anti doping agency decided to break off relations with IAAF, stating it is no more a valid partner to fight the doping with; such decision implies that the Swiss biological passport will no longer be delivered to the Federation. The straw that broke the camel’s back has been Diack’s recent declarations when the ex president stated he accepted one and a half milion from Russia in order to pay the Senegalese presidential campaign of the opponents in 2012. 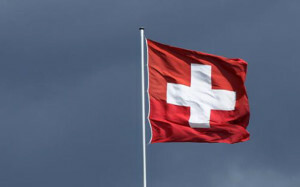 The relation between the Swiss Federation and IAAF will not change and in order to come back and cooperate with the Swiss anti doping agency the World Federation will have to prove to be on the straight and narrow path, it will have to demostrate to be an ally against doping and no more a supporter for who tries to escape the controls.